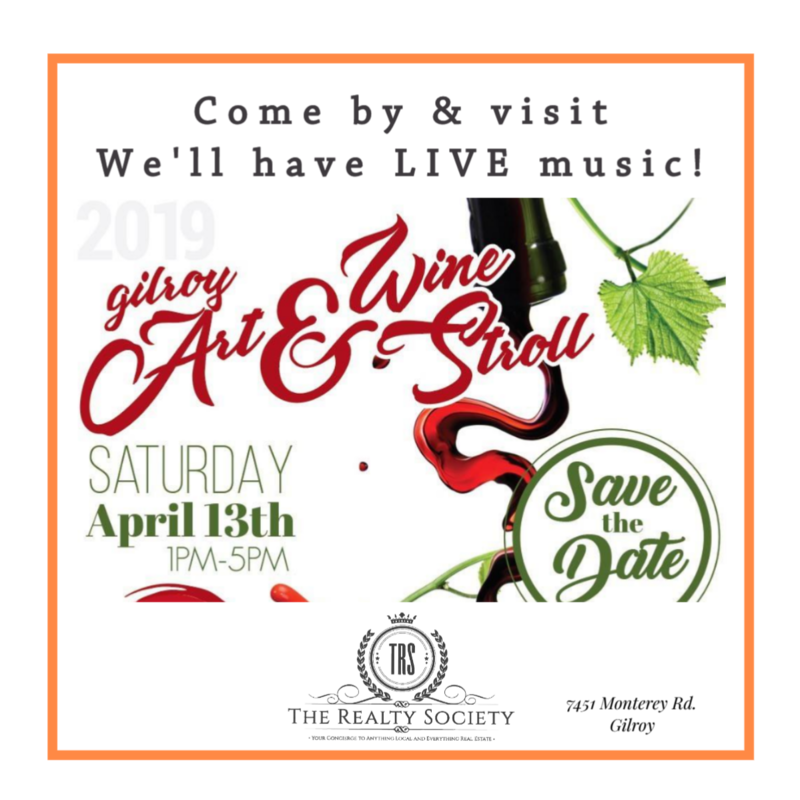 Come on out and help support the Downtown Gilroy Association and buy your tickets to 2019 Wine Stroll Saturday April 13 from 1-5pm. There will be local wine makers teaming up with local downtown businesses for a great day of sipping and shopping! 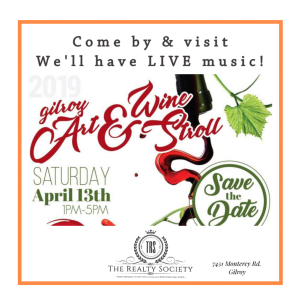 At The Realty Society we will be hosting as a pour station to one of our local wineries, and will also have Live music throughout the day! Please stop by and say “HI” and we look forward to seeing you out and about at another great Gilroy event!